A record number of over 600,000 tourists arrived in the country last year. During the first two months of this year over 85,000 tourist arrivals were recorded. According to Sri Lanka Tourism over 850,000 tourists are expected during this year. Considering the heavy tourist arrivals, the National Crafts Council (NCC) too expanded its services for visitors coming to the Janakala Kendra Complex at Pelawatta, Battaramulla. 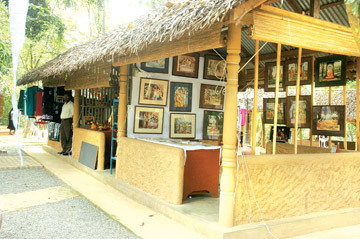 The Handicraft Marketing Village was later established within the Janakala Kendra Complex. The village is located on a five-acre land and consists of 45 stalls. Each stall sells locally manufactured handicraft including silverware, wood carvings, jewellery, batiks, brasswear, souvenirs, educationally valued toys, paintings, gift items, lace, crochet and masks. The NCC was established in 1982 by the then Prime Minister Ranasinghe Premadasa with the objective of helping local craftsmen to sell their products to tourists. The objective became successful as craftsmen from many parts of the country setup their stalls at the handicraft village. Even local and foreign tourists visited the village in their thousands to buy handicrafts. Craftsmen have inborn talents to produce numerous creations. While earning little money by selling their products, they render a great service to keep the county's heritage and culture alive. In an interview with the Sunday Observer National Crafts Council, Chairman Buddhi Keerthisena said the handicraft Centre was recognised by UNESCO as an international heritage handicraft centre. He said the Government is bound to preserve the aged-old handicraft industry and also to protect craftsmen in the country. Preserving handicraft of national and cultural value, development of the local handicraft industry, encourage craftsmen to improve their economic and social standards are among the responsibilities of the NCC. The objective of opening the handicraft village is to give opportunities for local craftsmen to exhibit their products under one roof. The handicraft village has close rapport with Sri Lanka Tourism, the Sri Lanka Tourist Promotion Bureau and many other private sector tour groups to develop the industry. According to NCC, tour guides very often visit the handicraft village with large tour groups and this will benefit craftsmen to sell their products. Keerthisena said local handicrafts, which are sold at the village are very cheap when compared with prices in the open market. The stalls are kept open everyday between 10.00 am and 6.00 pm. According to NCC statistics over 1000 foreigners visit the village every month. The NCC also conducts annual trade fairs in Kandy, Kataragama, Ratnapura and Galle to encourage craftsmen to expand their sales. In addition, craftsmen are also given an opportunity to hold exhibitions at the National Art Gallery in Colombo. Local craftsmen are also sent to India very often for exhibitions. The council has also started a craftsmen exchanging program with the Indian Government, so that craftsmen in both countries could learn about each others' traditional creations. 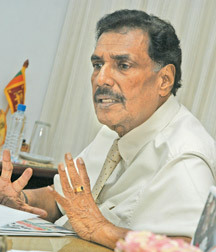 National Crafts Council (NCC), Director C.S. 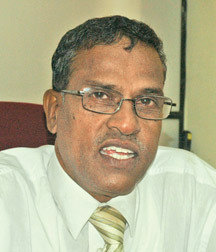 Poolocasingham said two handicraft marketing villages will be established in Jaffna and Hambantota before December this year. The objective of establishing handicraft marketing villages for the first time outside the city of Colombo are to cater a large number of local and foreign visitors who arrive in these cities very often. The villages will be set up with financial assistance from the Indian Government. The establishment of the Jaffna handicraft village will help Southern and Northern craftsmen to visit each other areas to sell their traditional products. According to NCC, local craftsmen are provided with necessary tools and also financial assistance from Banks to uplift their industry. The products are also sent to Laksala for sales. The NCC also invites craftsmen in the country to manufacture and sell their products at the Folk Art Centre Complex at Pelawatta, Battaramulla.